-Recognized as a Presenting Sponsor in print & web media marketing. - Inside Cover Ad in Pride Guide (2,000 print + digital download). - Cover page ad on phillyblackpride.org. - 5 Sponsor Passes to all main & featured events. - Outdoor Soul Cycle Health & Wellness. - Recognized as an ALLY Partner in print & web media marketing. - Banner Ad on main page of phillyblackpride.org. - 2 Sponsor Pass to all main & featured events. - 1 item in the welcome bags. -Recognized as a Presenting Sponsor in print & web media marketing. 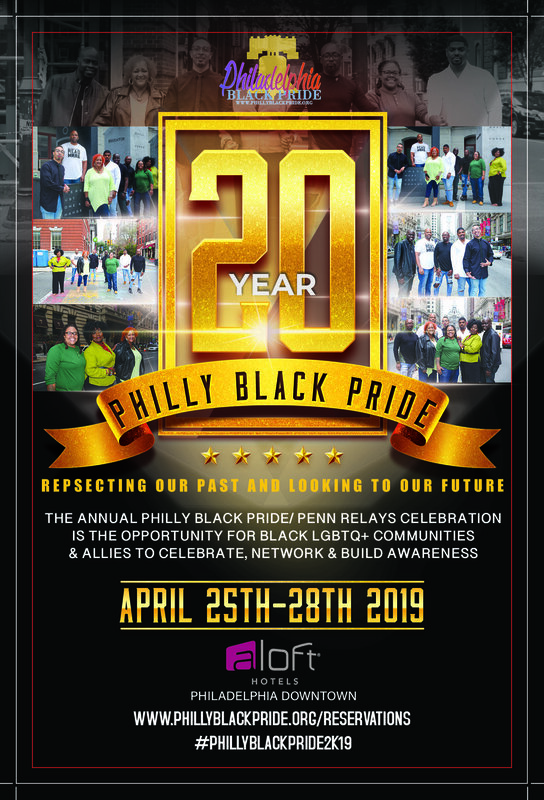 - Cover page ad on www.phillyblackpride.org. - 5 VIP All Access Passes to all Philly Black Pride Parties. - Health & Wellness Event. - Vendor Table w/ (2) VIP passes to the Ball. - 3 VIP All Access Passes to all Philly Black Pride Parties. - Banner Ad on main page of www.phillyblackpride.org. - Vendor table w/ (2) VIP passes to Ball. - Racial Equity Workshop - Health & Wellness Event. - 2 VIP All Access Passes to all Philly Black Pride Parties. TO DOWNLOAD COMPLETE SPONSORSHIP PACKAGE, CLICK HERE!! !